The shades of drabware can vary in coloration from vessel to vessel depending on when each piece was made, and by which pottery works in England produced it. For the past eighteen years or so, I have slowly but surely been assembling a very modest collection of drabware for my home. It's a collection that I started because I fell in love with this type of china the moment I first laid eyes on it. You've heard me say that this china isn't for everyone. Whether you find drabware appealing or appalling, I think it's worth taking a second look at a few examples. 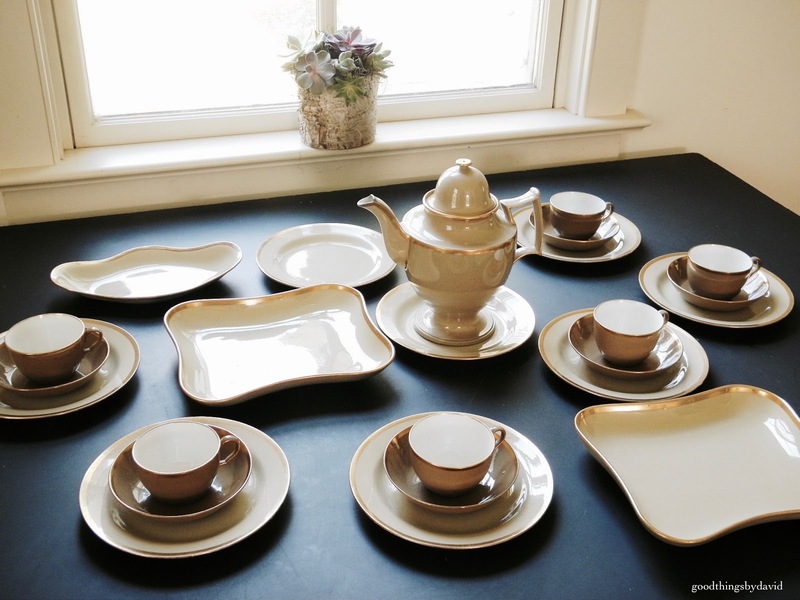 What's nice about antique drabware is that it isn't confined exclusively to Wedgwood. 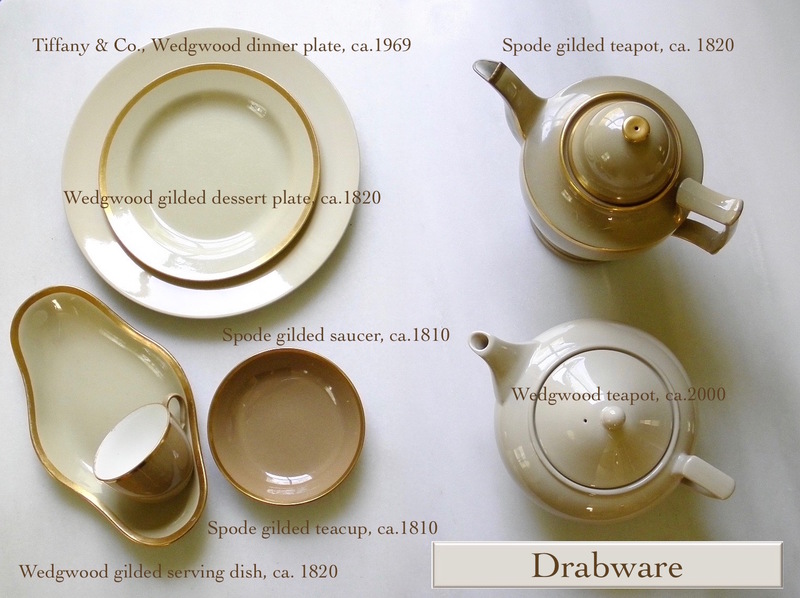 Other British pottery works, such as Spode and Ridgway, produced their very own versions of drabware beginning in the early part of the nineteenth century. Some of the pitchers, jugs, mugs, cups, teapots, sugar bowls, among other pieces, were heavily molded with intricate detailing, while others were hand painted with pink or blue flowers, or were bat printed in black and given gilded rims. It is the earlier pieces that so many of us find desirable because of the quality of craftsmanship and because of the rarity of some examples. As a result, the earlier the piece, the more expensive it will undoubtedly be for the collector. It's not unheard of to pay hundreds of dollars for one dessert plate or over one thousand dollars for a teapot. 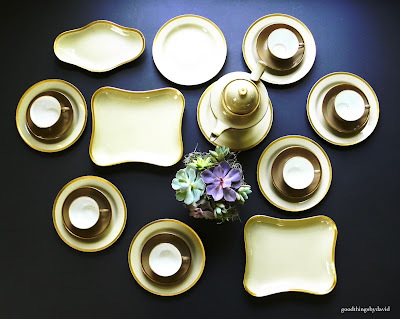 As I was cleaning and dusting some of my cherished pieces, I realized that I had never really talked about the varied tones of antique drabware. The photo above was given a faded filter in order to accentuate the tones of my pieces. Most of us assume that drabware is one shade and one shade only. That is not entirely true. 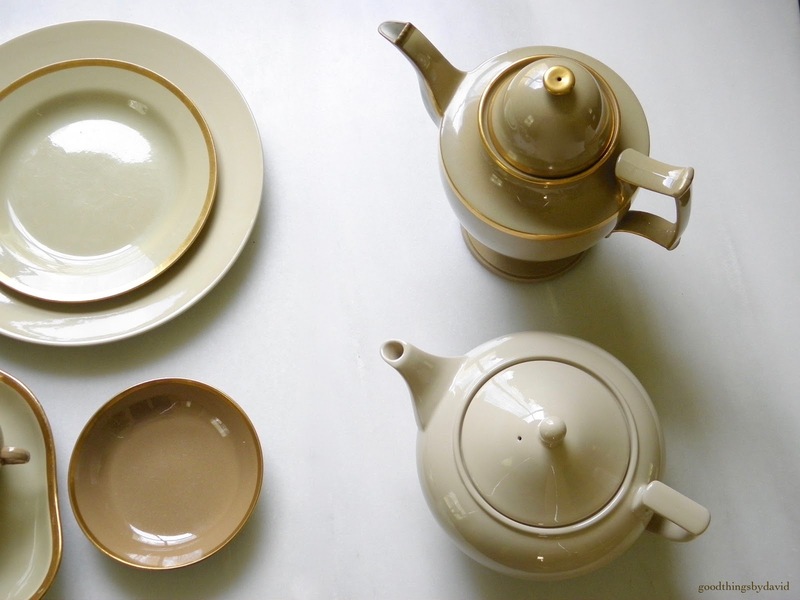 Drabware can be described by many as being khaki, taupe, beige, tan or even brown. The photo above demonstrates what I'm referring to. The Spode footed teapot from ca. 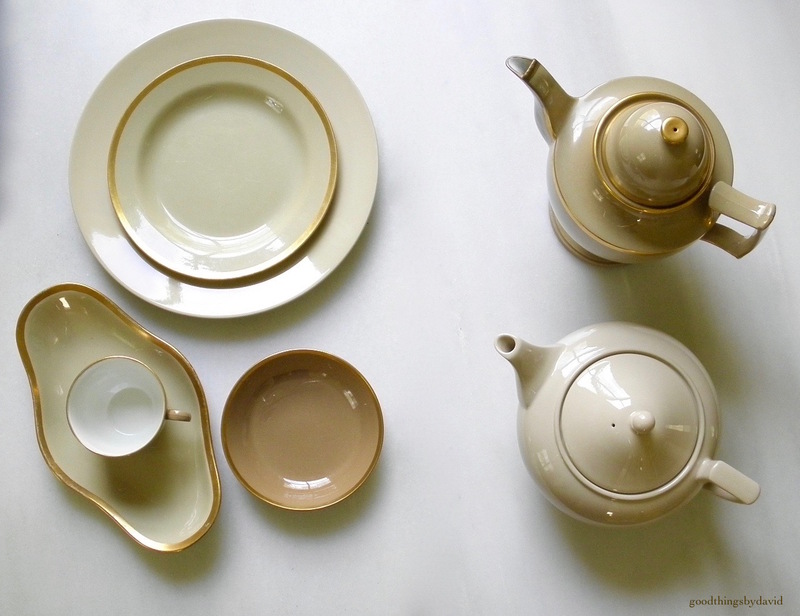 1820 is a rich silt color with hints of gray, while the Wedgwood teapot from ca. 2000 and the Tiffany & Co Wedgwood dinner plate are more the color of a light cafe au lait. The Spode ca. 1810 teacups and saucers remind me of the color mink, while the Wedgwood ca. 1820 dessert plate and serving dish are more of a sumptuous millet color with suggestions of honey. Every one of these pieces is the exact color of the clay that was used to produce it at that particular time. 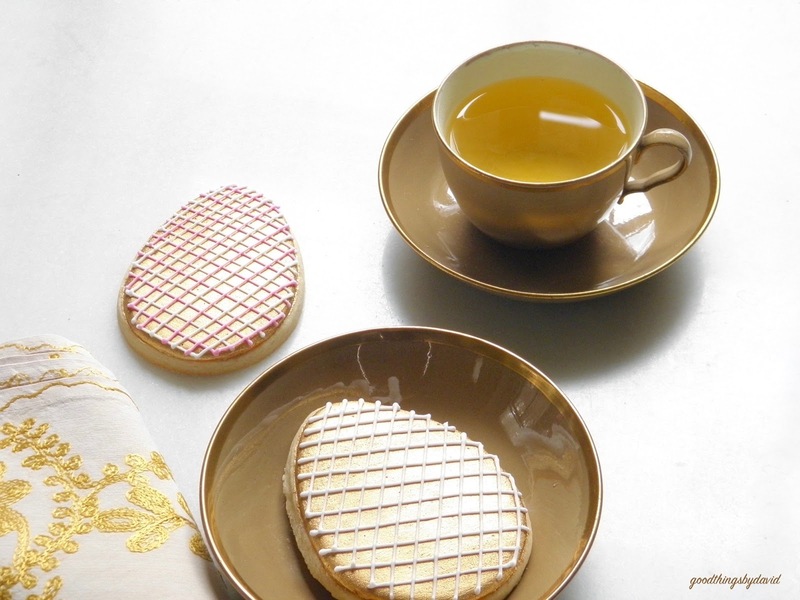 Only a clear glaze and/or gilding was applied before firing. On some hollowware pieces (such as my Spode cups), however, a white or pale blue glaze was applied to the interiors. Although mismatched in coloration, the neutrals pair well with one another. This particular footed teapot is one of my prized antiques. It is a fine piece of china that was produced in Stoke-on-Trent, England, by the Spode pottery works back in 1820. What I love about the teapot is the unusually-shaped handle and lid, as well as the accented gilding found throughout the body of the vessel. It's been such a pleasure to use this piece. Whether it's Spode or Wedgwood drabware, I know that I'm in good company whenever I want to set a nice table for tea or dessert. Sometimes I use the two hundred year old china, and sometimes I use the newer pieces. Other times, I combine the two. If you like neutral colors in your home, starting a collection of drabware may very well suit your tastes. Part of the fun of collecting this type of china is the thrill of the hunt. By no means will you find everything through online auctions. Antique dealers and designers in the business can be your best avenues for finding what you're looking for, especially when it comes to rare pieces. If you have an existing collection of drabware, enjoy it for years to come and do take good care of it for future generations. 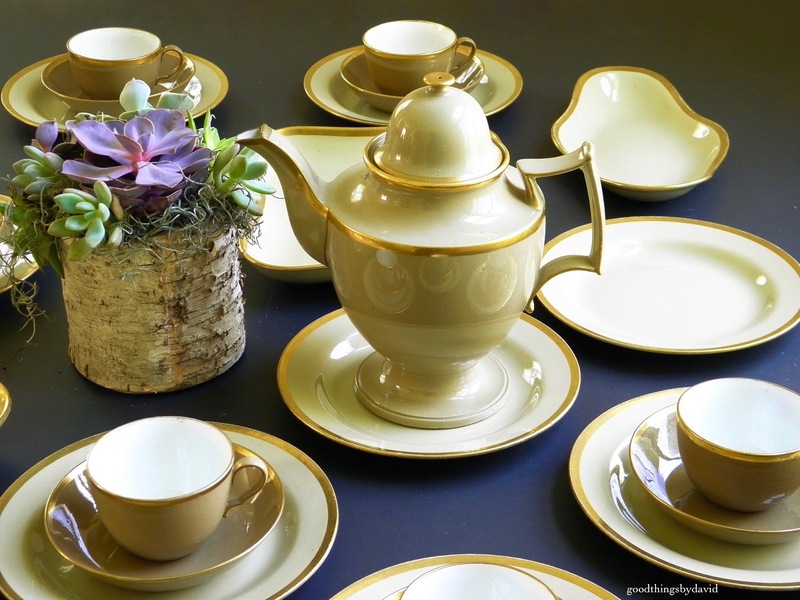 Over the course of my collecting drabware china these past eighteen years, I have greatly admired the clean lines, the fine proportions, the earthy variations in hue and gilding, of the earliest examples. As hard to come by as some of the older pieces can be, they do come up for auction every once in a while. Although I own dozens of pieces of millennium Wedgwood drabware which was made for the Martha by Mail catalog, and some of the Tiffany & Co. drabware from the early part of the 1970s, I had yet to add anything older than these pieces. I finally have the pleasure of owning some antique drabware teacups that were made in the early part of the 19th century. They are beautiful pieces of fine china that have managed to survive for over two hundred years, and yet, their provenance remains a mystery to me. The ca. 1810 teacups and saucers came straight from England to be housed in my Philadelphia home. The first thing I noticed about these pieces was the darker shade of drabware found on the saucers and the exteriors of the cups. Its hue is deeper than my Tiffany & Co. and Martha by Mail examples. 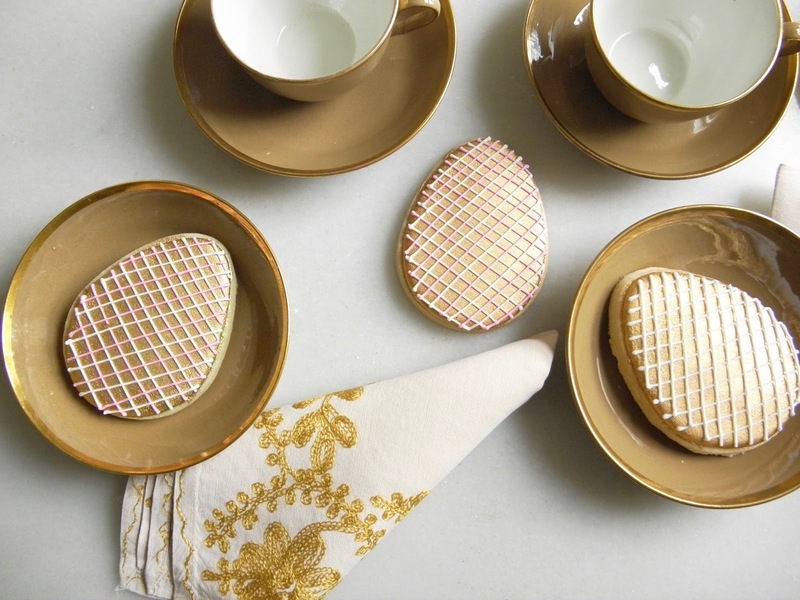 It is said by experts that earlier pieces of drabware ranged in hue from light tan, greige, green and even brown. These variations in color resulted from variables such as kiln temperatures and minerals found in the Cornish clay. The insides of my teacups were given a white interior and thick gilded accents. 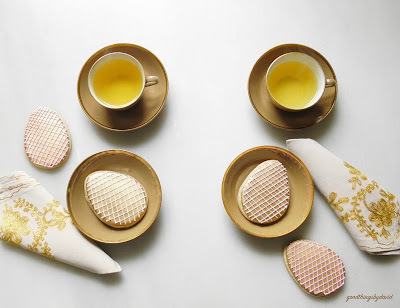 That these antiques happen to be teacups makes them absolutely perfect for my house, because we do love a good cup in the afternoon. Although I don't plan to use the cups on a daily basis (my other pieces are more appropriate for that), I will set a table with them when the mood strikes me. What I won't do is let them collect dust and go unused. For Easter, I made some special gilded-egg sugar cookies to serve for our afternoon tea. They looked spectacular on the old drabware. 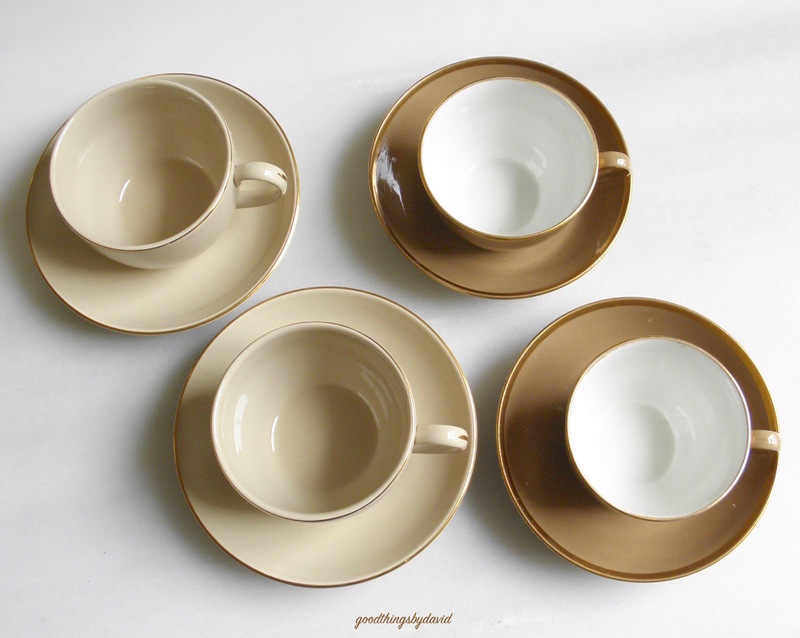 You can see the difference in color between these sets of teacups and saucers (above). On the left are fine examples of ca. 2000 drabware made exclusively for Martha by Mail. To the right are the much older ca. 1810 cups. Both are timeless specimens of English china. If you want to read more about drabware, click here for a post I wrote several years ago.